CIT-1 vs. U.P. State Warehousing Corpn. Dr. Satish Chandra, J. – Present appeal is filed by the department under Section 260-A of the Income Tax Act, 1961 against the judgment and order dated 27.06.2007 passed by Income Tax Appellate Tribunal, Lucknow in Appeal No.1059/Luc/2006 for the assessment year 2003-04. 3. The brief facts of the case are that the assessee is a statutory public undertaking of the State Government, which was constituted under the Warehousing Corporation Act, 1962. It derived income from storage fees, handling and transportation services, processing charges etc. Till the assessment year i.e. up to 31.03.2003 (Assessment Year 2002-03), the assessee was exempted from the clutches of the Income Tax as per Section 10 (29) of the Act, but on 01.04.2003, the said exemption was withdrawn. So, for the assessment year under consideration, first time assessee has filed its return. In the return, the assessee had claimed the deduction on account of depreciation of “straight line method” at Rs. 2,58,61,223/-. According to the A.O., the depreciation was allowable at the prescribed percentage of the actual cost of the assets in the year of acquisition and of the written down value (for short “WDV”). So, he has worked out the depreciation to Rs. 22,07,08,617/- whereas the assessee has claimed the depreciation of Rs. 25,98,40,226/-. Finally, the A.O. made the addition of Rs. 3,91,31,609/-, which was upheld by the first appellate authority. However, the Tribunal vide its impugned order has allowed the claim of the assessee by observing that till the previous assessment years, the income was exempted from tax. So, no depreciation can “notionally” be treated. First time, the assessee has claimed the depreciation on actual cost of assets. Not being satisfied, the department has filed the present appeal. “for the removal of doubts, it is hereby declared that the provisions of this sub-section shall apply whether or not the assessee has claimed the deduction in respect of depreciation in computing his total income”. 5. He submits that this provision is applicable with effect from 01.04.2002 but it does not mean that it change the scope of provisions after that date. It had the effect of laying down the intention of the legislature that the depreciation was an essential charge on the income of the assessee arising from the wear and tear of the assets in the course of the use thereof for the purpose of business and should be allowed mandatory in all cases. 6. According to learned counsel, in the instant case, the assessee does not derive any strength from the proposition that the depreciation was optional or that the Explanation 5 (supra) had only prospective effect. Depreciation is allowable. He also submits that in this case, the assets owned by the assessee were used by the assessee for business purposes and the A.O. allowed the depreciation, as shown in the profit and loss account and balance sheet as now no exemption to the assessee was given under section 10 (29) of the Income Tax Act. He further submits that the A.O. has rightly disallowed the excess depreciation claimed for the earlier years and only the ‘WDV’ of the fixed assets as on 01.04.2002 was considered on the actual cost of the assets acquired during the previous years. So, no interference is required in the order passed by the A.O. as well as CIT (A). For this purpose, he relied on the ratio laid down in the cases of CIT v. Mahendra Mills  243 ITR 56/109 Taxman 225 (SC); Allied Motors (P.) Ltd.v. CIT  224 ITR 677/91 Taxman 205 (SC); and CIT v. Gold Coin Health Food (P.) Ltd.  304 ITR 308/172 Taxman 386 (SC). 7. By reading the explanation 5 of Section 32, he submits that the law on the subject can be stated to be a settled by stating that the rate of depreciation will be applicable at the rate, as prevailing on 1st April of the relevant assessment year on the asset owned by the assessee. So, that any amendment made thereof will be available for the next succeeding year. (b) in the case of assets acquired before the previous year, the actual cost to the assessee less all depreciation actually allowed to him under this Act, or under the Indian Income- tax Act, 1922 (11 of 1922), or any Act repealed by that Act, or under any executive orders issued when the Indian Income- tax Act, 1886 (2 of 1886), was in force. 9. He also submits that the assessee has rightly claimed the depreciation as per the “straight line method”. However, he admits that the depreciation will have to be allowed as per the rate prescribed in the schedule on various items of the assets. Lastly, he justified the impugned order passed by the Tribunal. 10. We have heard learned counsel for the parties and gone through the material including the written note supplied by the parties. 11. It is an undisputed fact that prior to the assessment year under consideration, the total income of the assessee was exempted as per Section 10 (29) of the Income Tax Act. 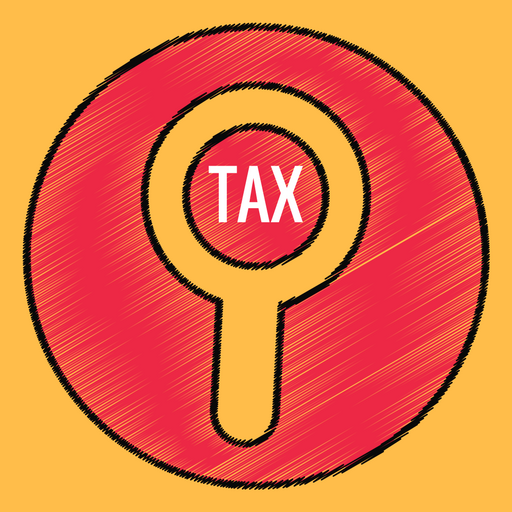 This is the first year, where the assessee has offered its income for the purposes of tax and claimed the depreciation. 12. In CIT v. Dewan Bahadur Ramgopal Mills Ltd.  41 ITR 280 (SC), the Hon’ble Apex Court observed that the basic and normal scheme of depreciation under the Indian Income Tax Act, is that value of the asset decreases every year, being a percentage of the written down value which in the first year is the actual cost and in succeeding years, the actual cost less all depreciation actually allowed under the Income Tax Act or any Act repealed thereby. Thus, depreciation allowance is in respect of such assets as are used in the business and is to be calculated on the written down value, i.e. in the case of assets acquired in the previous year, the actual cost of the assets and, in the case of assets acquired before the previous year, the actual cost to the assessee less all depreciation actually allowed to him under the Act. For this purpose, expenses, relating to installation and even interest on borrowed capital for acquiring plant and machinery had been treated as such cost as per the ratio laid down in the case of Challapalli Sugars Ltd. v. CIT  98 ITR 167 (SC). 13. In the instant case, the dispute is that the assessee has claimed the depreciation on the “straight line method” by considering that it is the first opportunity to the assessee to claim the same. This the first year, where the assessee has filed the return. 14. It may be mentioned that in the “straight line method”, depreciation is allowed at a fixed percentage of the original cost year after year till the original cost is exhausted; that is to say, a constant sum of depreciation is allowed year after year. But, at the same time, as per the “written down value method”, the depreciation is allowed at a fixed percentage not on the original cost, but on the written down value, namely, the original cost less depreciation previously allowed year after year. The written down value has to be calculated and arrived at for each amount year. It is diminishing figure year after year and the allowance for depreciation consequently is also a diminishing allowance year after year. The difference between the two may be defined that “straight-line method” is cumbersome in as much as a track has to be maintained of various items of plant or machinery purchased on different dates and of the year in which they should be taken out of the computation of depreciation, as the entire allowance would have by then been made. The “written down value method”, however, automatically, ensures that the aggregate allowances would never exceed the permissible hundred per cent. The “written down value method” being simpler and easier to follow had been adopted in respect of depreciable assets except ocean-going ships. 15. In Madeva Upendra Sinai v. Union of India  98 ITR 209 (SC), the Hon’ble Apex Court explained that the pivot of the definition of written down value is the actual cost of the assets. Where the asset was acquired and also used for the purpose of business in the previous year, such value would be its full actual cost and depreciation for that year would be allowed at the prescribed rate on such cost. In the subsequent year, depreciation would be calculated on the basis of actual cost less depreciation actually allowed. As per Section 43 (6) of the Act, it was explained that the key word in clause (b) is ‘actually’. It is the antithesis of that which is merely speculative, theoretical or imaginary. Thus, unless the depreciation has been ‘actually’ allowed in terms, it should not be taken into account for the purpose of Section 43 (6) of the Act. 16. In the instant case, the assessee has claimed the entire depreciation during the assessment year under consideration, which is not permissible as per the scheme of the depreciation. The depreciation will have to be claimed on the basis of year to year. Though, the income was exempted under section 10 (29) of the Act, but it does not bar the assessee to claim the notional depreciation in its books of accounts. Even the income is exempted nonetheless, the balance-sheet etc. will have to be prepared as per law for each assessment year as per principle of accounting. Thus, the law for claiming the depreciation is year to year basis, soon after acquiring the assets. 17. In the light of above discussion and by considering the totality of the peculiar facts and circumstances of the case, we set aside the impugned order and remanded the matter back to the AO to allow depreciation on various items of the assets as per the schedule from the date of acquisition of the assets on the basis of year to year i.e. by taking notional depreciation for the earlier years, but the depreciation cannot be more than 100% of the value of the assets. 18. The answer to the substantial question of law is in affirmative and in favour of the department. 19. In the result, the appeal filed by the department is allowed for statistical purposes. This entry was posted in Section 32 and tagged 357 ITR, Allahabad High Court, In favour of Matter remanded, notional depreciation.